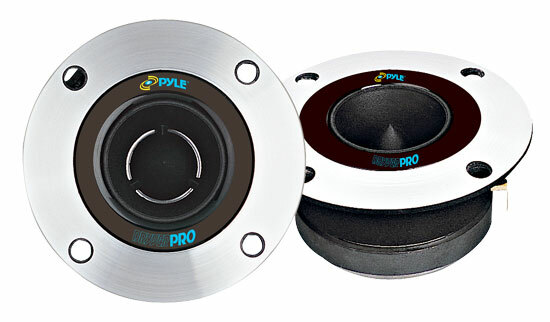 Easy to mount and well built - the only tweeters a dance/trance system needs. Rugged, powerful and with great high frequency extension. Will grind standard 1" tweeters into dust. These tweeters are best amped on a traditional 2 Channel amp. Minimum 50w RMS is advised - many people do not realise under powering a speaker will kill it very quickly! It will run very happily on 100w RMS and will take up to 150w RMS without problem.